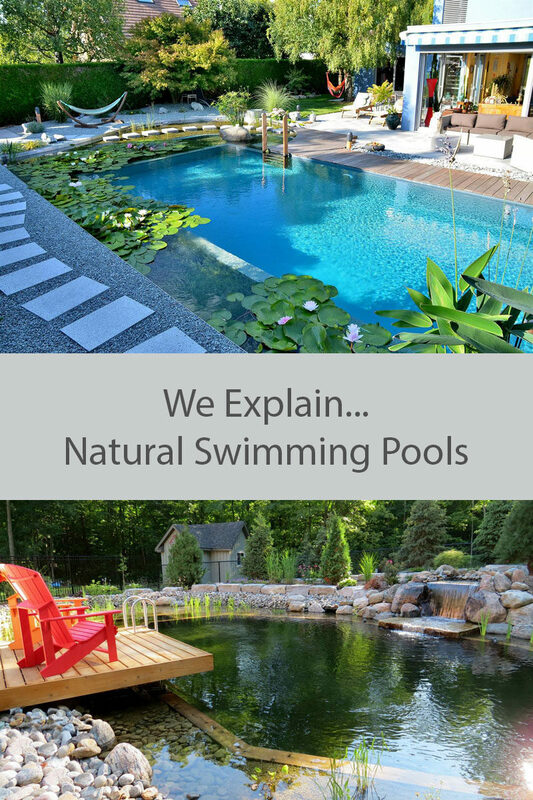 What Are Natural Swimming Pools? This natural pool has been designed by BIOTOP. 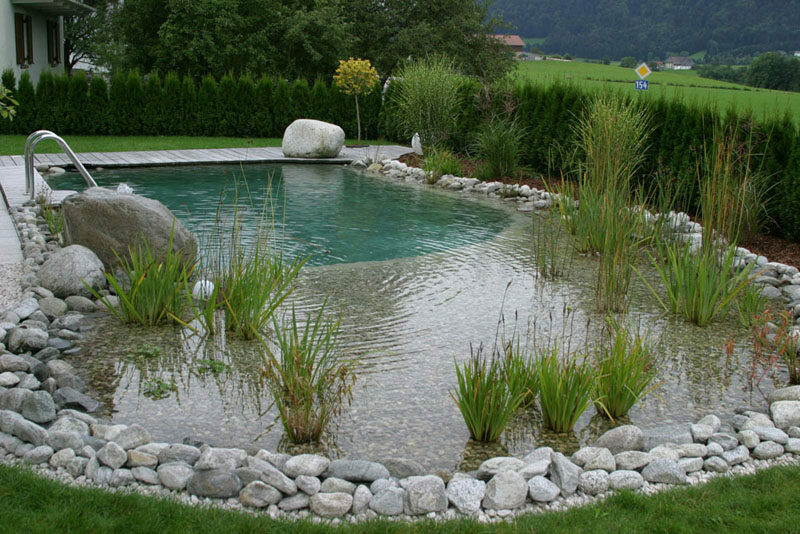 Natural swimming pools are pools that use plants and other biofilters instead of chemicals to keep the water clean. The trend, which started in Europe in the mid 80s, is now making its way throughout North America. With a number of health and cost benefits, it’s easy to see why these chemical-free pools are a popular trend in the home swimming pool world. 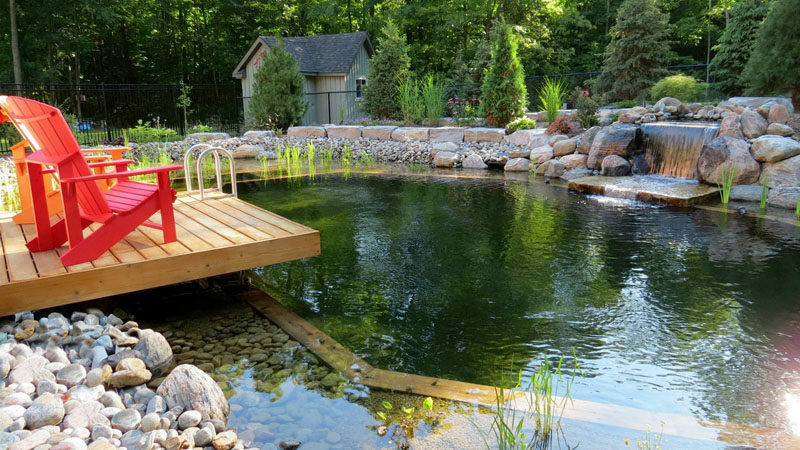 This natural pool with a deck was designed by Genus Loci Ecological Landscapes Inc. In order to operate without the use of any chemicals, biofilters are used to keep the water clean. Water gets filtered by good bacteria, microorganisms, and aquatic plants, usually in a regeneration zone or right in the pool itself. It’s then pumped through a secondary filter to remove any sediments or bad bacteria that got through, and then back into the swimming pool. 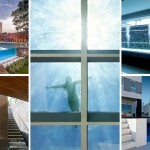 Natural swimming pools come with a number of benefits, the first being health. Because no chemicals are used at any point, skin reactions to chlorine are avoided and itchy, red eyes are gone as well! 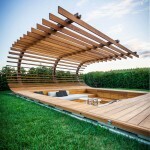 Another benefit is the design flexibility. 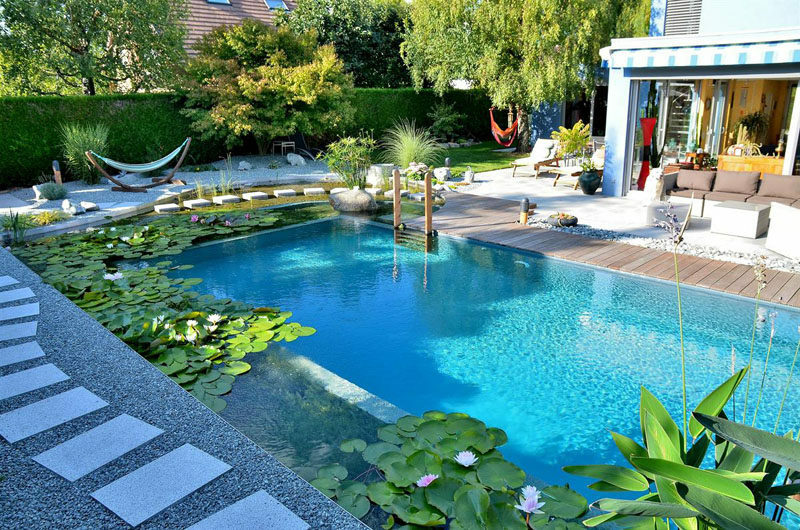 While some may opt for a pond like appearance to work with all the plants, those who want a more traditional backyard pool will still be able to enjoy the natural trend. The final benefit is year round fun. Since they’re basically like a pond, at low temperatures in the winter the pool can freeze. So lace up those skates and hit the ice! Once the weather warms up again, the ice melts, the plants come back to life, and normal filtration resumes. While the lack of chemicals seems great to many, others fear that the pools would become home to unwanted bugs and animals. In terms of bugs, like mosquitoes, the secondary filter in the pool prevents water from getting stagnant which means mosquitoes won’t be a problem. Animals, on the other hand, may be drawn to the pool because of all the plants. As long as you don’t mind deer, frogs, and other friendly little critters, though, natural swimming pools are a great way to add a pool to your yard without sacrificing greenery, plants, and wildlife. 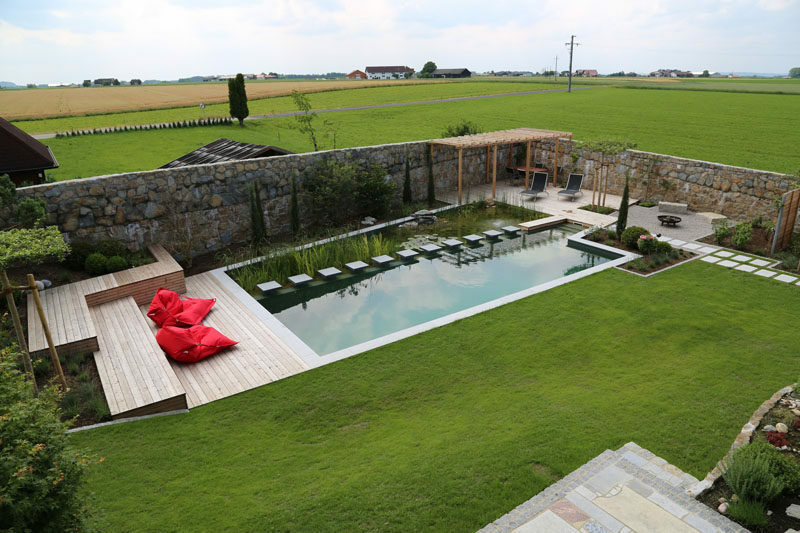 This modern natural pool was designed by ensata.